Do you master records for bands who aren’t signed to Third Man Records? Yes! We are a full service mastering house open to anyone! Do you master music for digital release at Third Man Mastering or is it strictly analog and for vinyl only? We are happy to master your record for a digital only release! We master for SoundCloud, Bandcamp, Spotify, Tidal, iTunes, etc., and CD releases as well as for vinyl. My record is coming out on cassette, download, and LP. Can you do mastering for all three? Of course! We can easily provide you with masters for all formats and we can cut laquers too. This is my first vinyl release, can you give a brief overview of the whole process? Once your mixes are finished, you’ll need to get your audio mastered for vinyl. 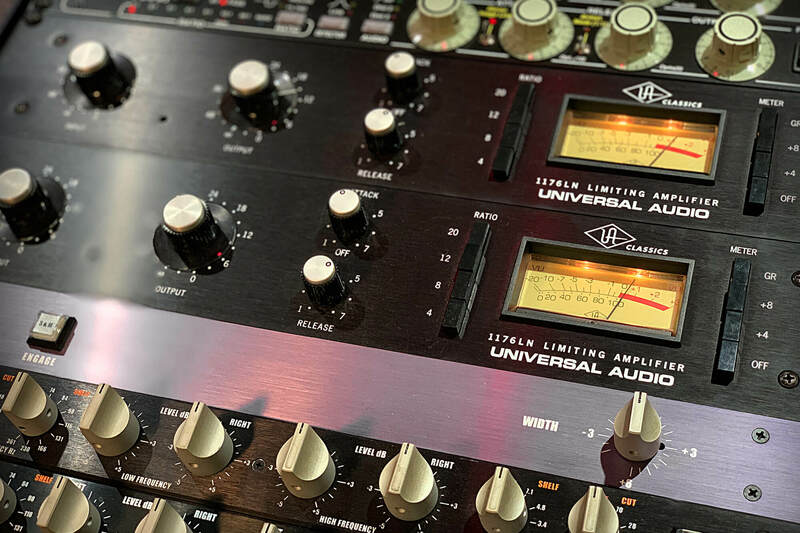 This step ensures that the high and low frequencies have been optimized for best performance on a record (imbalanced low frequencies or too much sibilance can greatly reduce the quality of the record). Once your songs are mastered, two lacquers will be cut (A and B side) and the lacquers will be sent off for plating where they are sprayed with liquid silver and then nickel plated to form stampers that are used to press the records. Those stampers will then be sent to the record pressing plant for production. Can I have my lacquers mastered at Third Man Mastering but press my record at another plant? Yes, we can ship your lacquers to any preferred plating facility or record pressing plant. How do I submit my music for mastering? Send in whatever format you mixed your record to. Cassette, ¼”, ½”, 1” tape to 32 bit float 192 audio files. We have a wide variety of well maintained playback machines. Send us what you’ve got and we can make it work! Give us a call or an email and we can discuss your session. Should I EQ and compress the mix before sending? Yes, send us whatever sounds good to you, we can take it from there. Do you allow clients to attend mastering sessions? Yes we do, however, attended sessions for mastering and cutting are a different rate. Please give us a call and we can talk about all of the options for attending sessions. What are your mastering rates? Please click on Booking and fill out and submit the form, you will receive a message from us within 24 hours. Do you supply ISRC codes? What are your recommended lengths for 7", 10" and 12" records? The RIAA has a published set of guidelines that we follow. The basic formula is the shorter the record, the louder the volume and the more bass that can be reproduced. Records that far exceed the suggested length will have additional charges added as more time is spent trying to maximize the volume and low end. .
Matrix numbers, how do they work? A matrix number is a string of letters and numbers used to identify your record. If you are signed to a label the matrix number should be part of their internal release schedule and you shouldn’t have to worry about it, but if you are self releasing your record you will need to make one up. So lets say this is your first release and your band is called HIS NAME IS ALIVE, a good number may be HNIA-001. The matrix number will be etched into the run out groove of your lacquer after it has been cut. It will appear on the record itself after it has been pressed. What is vinyl scribe information? The scribe information is the matrix number plus any other message you wish to include in the run out groove. Typically bands or labels will put a little “inside info” into the run out groove for fun. For example, on ELO’s Out of the Blue LP “KEV” was etched into side A and “ROY” into side B. Be creative and have fun! Third Man Pressing is located directly next door and we can offer a streamlined process from mastering to pressing. We ship Fedex Standard Overnight unless the client requests otherwise. International shipments are shipped Fedex International Priority. Any package exceeding $100 in value is insured for the actual value. TMM accepts business and personal checks, money orders, cashier’s checks, and all major credit cards. If submitting a credit card for payment and client is not present, the following information is required to process the card. Cardholder name, telephone number, and address where monthly billing is sent, card number, and expiration date. Payment in full is required with the project. We prefer that client's tapes are returned when manufacturing is complete. Third Man Mastering is not liable for loss or damage to tapes stored on the premises.